These deals are not exclusive in any manner. Ken found almost all of these; many thanks to him, as ever, for sharing them. Escap3d of Belfast have a Groupon deal where a team of up to eight players can take part in “Paulina’s Revenge” for just £36. Clue HQ‘s Sunderland branch are sharing a Groupon deal where six players can play for just £39, though a £10 surcharge is applied for those who want to play on Saturday. Miles away from the Wear to the Tyne, Pirate Escape of Whitley Bay let you buy this Groupon deal where up to six can play their exit game for £45 – or a LivingSocial deal at just £35. At almost the other end of England, Red House Mysteries of Exeter have posted their Groupon deal where a team of up to six can play for a flat fee of £39. On the same coast, Cyantist of Bournemouth have a LivingSocial deal, just for a change, where two can play for £29, three for £36 or four for £45. In the north-west, gamEscape of Liverpool let you buy a Groupon deal (or a LivingSocial deal if you prefer their terms and conditions) where their Golden Cage game, only, can be played by four players for £30 or by two players for just £15. In London, Hidden Rooms have several Groupon deals depending on the number of players. See the deal and choose from a single ticket for £21, two for £27 or three for £31; their LivingSocial deal is a pound or two cheaper still. Staying in London, QuestRoom have a Groupon deal where you can buy a three-player game for £34 or a five-player game for £52. The new Sherlock Unlock also of London’s Groupon deal where up to six players can take part for a flat rate of £49. Even the discount starburst has blacked out completely to celebrate the day! As you might be able to tell, the time at which the articles are published reflects the time at which writing started; this article is being started on Thanksgiving Thursday and completed very early on Black Friday, with the benefit of some new information that became available at midnight. Whether you approve of limited timescale deals or not, or the Black Friday phenomenon in particular, today is an unusually good day to purchase play – and it’s worth checking the social media of wherever you’re buying before you do so. All deals may expire quickly, maybe not even lasting the whole of the day. Escapism of Nuneaton have posted an offer on weekday bookings at 10am or noon in December or January; any number of players, up to eight, can play for just £50, or alternatively you can get 20% off gift coupons to play outside these specific times. Clue HQ have four locations from Sunderland to Brentwood, but it’s not immediately clear whether or not all of them are participating in today’s special offer. The posted deal suggests that they’ll sell a hundred games at £49 each for up to six players, to be played between the 1st and 2nd of December if you use the code BLACKFRIDAY when you book. The same BLACKFRIDAY promo code also works at Escape Rooms Scotland of Glasgow. This deal runs from Friday 27th November to Monday 30th November and there’s no time restriction on when your booked game must be played; the code will give you a £10 discount, reducing the 2-6 player Jail Break and Zombie Quarantine rooms to £50 each and the brand new 4-10 player Bank Heist room to £90, from its opening on 9th December. Escape Live of Birmingham posted their offer on Twitter. That BLACKFRIDAY code will give you 15% off any games for four or five players that you book today. At this point, it might be worth trying the code BLACKFRIDAY pretty much everywhere, just to see what happens! No codes required in Belfast, where The Gr8 Escape now offer four rooms and are offering gift vouchers valid for the first half of 2016; any room, up to six players for £45. Buy ’em today via PayPal. ((UPDATED, 2:30pm!)) Over to Bristol where Puzzlair (including their new second location, a short walk away from the original) used Twitter to post their Black Friday deal, which offers a handsome 30% discount on weekday bookings. In north-west London, QuestRoom also tweeted their offer; there’s 20% off the two spaces available this evening but also 20% off games played this weekend. Ken kindly pointed in the comments to an offer by Trapped In of Bury in Greater Manchester. It was posted on Facebook, which is as ever charmingly intermittent about which stories it shows to people, unless you pay it cold hard cash. 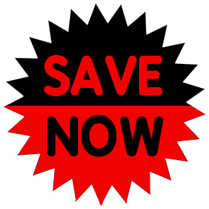 The BLACKFRIDAY code used today will get you 20% off your booking. If you know any other deals posted to Facebook that haven’t made it to Exit Games UK, please speak up. From the north of Greater Manchester to the south; down to Altrincham for Code to Exit. The Tweeted offer is for a discount of 30% on bookings using promo code BLACK. That said, there has been a suggestion that the code is no longer available – maybe a temporary glitch, maybe a limited offer. It applies to the Blueprint game only, not their new game, “The Test”. This site knows of at least one other place offering a Black Friday discount for hunt participation, but it’s restricted to members of a mailing list, so the details won’t be shared here. Nevertheless, it’s not impossible that other sites might mail one-day discounts out to their own lists so check your mailboxes carefully. Ken found about half of these and many thanks to him, as ever, for sharing them. Groupon seems to be the de facto brand leader, or at least the site that more exit games use than any others. There’s no telling when these might expire, but currently it has social buying deals for Code to Exit of Altrincham, ESCAP3D of Belfast, Escape Game Brighton, Hidden Rooms London, Mission Escape of Exeter and Zombie in a Room of Chesterfield. It’s far from the only game in town, though, no pun intended; Dealmonster (to which this site says “monster, monster”) has a deal for Clue HQ in Blackpool with about a week left on the clock. That said, if you want to play Clue HQ in Brentwood, there’s a discount code of uncertain lifespan that was shared on its Facebook group. Sometimes you can find the existence of a site that you didn’t know even existed when you spot a deal for it. The rather wonderfully-named The Bristol Maze, more of which soon, has a deal on Wowcher that expires when Tuesday turns into Wednesday; Lock Down Zone of Rotherham, more of which even sooner, has posted a half-off code, LDZ50Off, that applies in November. “Evac was full on Saturday ((7th November)), but when I turned up, it had been broken into and trashed which was sad. Made it back open today ((Monday 9th November)) though after extensive work yesterday. They didn’t nick much however I wish I was there when the thieves opened up their lockboxes to find puzzles :)! The difficulty with Dealwatch is that deals generally tend to apply to a single site at a time. What if there could be a way for a single deal to apply to dozens of different sites at the same time? Happily, now there is. Or, even, there are. Buy the Escape Game Card for US$20 and, for the course of a year, you can claim a discount when you’re on a team playing a room at one of dozens of sites worldwide. 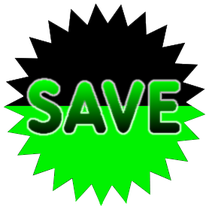 Take a look at the list of sites, check with the site that they’re still offering the discount and then book. If there isn’t a cunning way to embed the discount into the booking system, the site will rebate some percentage of the price of the whole team’s participation in cash upon presentation of the card in person. Now, to be fair, Escape-Card does the same thing, but it has a different selection of games that have signed up. Crucially for most readers of this site, Escape Game Card has already got sites signed up in the UK, the USA and Canada, whereas – at the time of writing – Escape-Card‘s sites are in other countries. The more sites that are signed up, the more attractive each card becomes; in a perfect world, there might be interoperability, but at the moment you’d have to be a real globetrotter to benefit from having both. 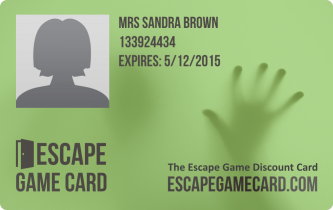 On a technical issue, the Escape Game Card offers an affiliate scheme paying commission to those who sell it, which may make it the more attractive of the two in the long run. Such kickbacks aren’t this site’s cup of tea, but will appeal to many. Take a look and decide for yourself. If the offering isn’t right for you now then check back in a few weeks and there may be more sites signed up that tickle your fancy! Unrelatedly, Jennifer kindly points to a social buying deal on itison for a voucher to play Evac of Glasgow, which is so new that Exit Games UK hasn’t covered it yet. More about it soon, for sure. The deal is only available until 7am tomorrow morning, UK time, and usual social buying terms and conditions apply. As it happens, none of the discounts quoted this time do seem to rely on social buying services, but the principles apply nevertheless. Mystery Cube of Wimbledon is the most recent new location to open; as is often the case, a location is most likely to offer discounts as, and just after, it opens. Booking using the code Mystery Cube will offer a 50% reduction for teams playing between 24th January, the presumptive opening date, and 7th February. The regular price is also one that might be more likely to be found in the provinces than in London at large. Another recent opening took place at The Great Escape Game of Sheffield, and they too posted an opening offer to their Facebook page. As described on a linked story at TicketArena, a £20 discount is available for a limited time (though no clear limit is specified, but why wait?) for teams booking using the code GR8TA20. One more recent opening still happened at The Escape Room of Manchester, who also have a limited-time opening offer with no deadline specified. The site has a total of five different rooms, some that will take teams of sizes two to five, and others that will take teams of up to six. You can get a 20% discount by booking using the code ESCAPE20; another one to take advantage of sooner rather than later. Lastly, one site that’s not quite such a recent opening is Can You Escape of Edinburgh, though they have already climbed to number seven in the TripAdvisor attractions charts for the city, a list with three sites all now in the top nine. A recent Facebook announcement suggests that student teams who book a slot on a Thursday using the STU-295-ZMV code receive a 20% discount; “just make sure your team bring their student cards”. 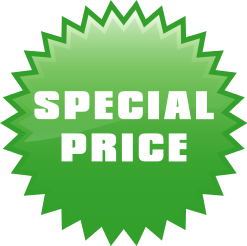 Facebook suggests this Thursday discount will be running until mid-February; perhaps it’ll last longer, perhaps not – best not wait to find out the hard way! ((Edited to add:)) Another deal that came a day too late but is far too good to ignore: Room Escape Adventures of London have released a Wowcher for their Trapped In A Room With A Zombie show, reducing the price of one of the twelve tickets for each show from £28 plus booking fee to just £14. More about this exciting development soon, hopefully! This deal will only be able until the end of Friday night; vouchers booked in this way can be used until the end of April. Even the discount starburst has blacked out completely to celebrate the day. (While the day’s celebration is an import, perhaps this is in preparation for bringing the world’s number one online shopping day, China’s Singles Day, to being a similarly celebrated event in other countries as well.) There are a couple of deals coming up that are available today only, so hopefully some reader can take advantage in the last two hours of the day or so. Escape Quest of Macclesfield have announced on Facebook that The next 5 bookings made using the code blackfriday will only pay £50 per room for any size team. This deal expires at midnight tonight. Similarly, Bath Escape have made a Facebook post suggesting that you can book today and receive a 25% discount! Use the code black to get your discount! GR8escape York‘s opening discount has gone, but has been replaced by a Christmas offer: To help spread the Christmas spirit at Gr8escape York, we are offering £10 off all bookings made from now until the end of December. This is for all group sizes and all available time slots in the month of December. Just use the code Spy School Xmas at the final payment stage. On top of that, LivingSocial are running a Black Friday campaign, giving 10% off (at least most) of their vouchers. This is particularly relevant to this site because a voucher permitting play for any size group for £39. (Be warned that using the voucher to play on Friday, Saturday or Sunday attracts a £10 supplement, to be paid in cash.) The usual LivingSocial conditions apply. While that voucher has a time limit, the site has its own voucher scheme providing a variety of discounted play options for the first three months of 2015. Logiclock of Nottingham has an offer called 50-50-5 whereby the first fifty teams to look through the site and find the five miscoloured digits can earn a 50% discount on their ticket. Locked In Games of Leeds has a Groupon deal that has expired, but try the coupon code of lockedinnovember at the checkout stage for a £30/team ticket in November. Puzzlair of Bristol announced on Twitter that they have entering the code Twitter on booking will provide a 25% discount until Christmas. 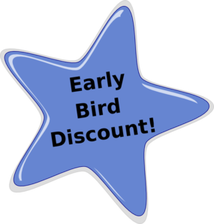 If the Black Friday offer at Escape Quest of Macclesfield has expired, the site has posted an opening discount: For bookings made during November use the code Special20 to get 20% off the price. Sounds good! Escape Hunt of London’s Challenge is still on and may be the best deal going now that the time-limited 25% coupon promotion has expired. Also in London, Escape Rooms have a VisitLondon10 code for 10% off on weekdays up to 5pm. Escape Quest of Macclesfield opened for paying guests for the first time today, after a week or so of test games. 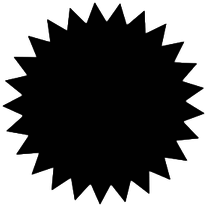 Accordingly, they have been added to the list of exit games and the Timeline, and their dot has been turned yellow on the map. (The only cloud to gloom this otherwise glorious day is that the mapping provider in use recently turned the map from a Classic Map to a New Map, and this site is Not Happy about it.) In much happier news, the site has posted an opening discount: For bookings made during November use the code ‘Special20’ to get 20% off the price. Sounds good! Serial dealers The Gr8 Escape of Belfast have another Groupon deal going for their distinctive forthcoming Winter Wonderland Party room, to be available from early January to early March in 2015. For £69.95, up to eight children can try and tackle a 45-minute wintery room escape challenge, complete with a Snow Queen or Ice King theme for the birthday boy or girl. Spread across two rooms, participants have to solve all sorts of puzzles, clues and codes to get out. An additional 45-minute session follows, this time in a themed party area with juice and party game props, tea or coffee for adults, a gift for the birthday boy or girl, and a chance to pick items from the themed candy carriage or cart. This site fully approves of any initiative that means that people from outside the usual exit game age demographic get to play. Princesses Anna and Elsa would doubtless also approve. Understood? Understood. ESCAP3D‘s Dublin location have a LivingSocial deal available for another week, or until all the vouchers sell out. Teams of six can play for €39 rather than the full price of €80. The voucher is only valid for new customers, and between 1:30pm and 6pm on Mondays to Saturdays. A cancellation/re-scheduling policy of 48 hours applies. How do you pronounce ESCAP3D, by the way? This site always thought it was a stylistic form of “escaped”, but it could just as easily be “escape-three-d”. Last Dealwatch, this site described a Groupon deal placed by The Gr8 Escape of Belfast. While that’s history now, the site has a Facebook offer available for another month, offering 25% off if you’re booking either of its two Christmas-themed rooms to play after 5pm. The site has also revealed its future plans: “Winter wonderland – a froz3n surprise will hopefully be available in mid December, it will be a two room challenge designed to be easy enough for 7-11 year olds to complete within 45 minutes.” That’s extremely distinctive and very, very cool. If a major chunk of the long-term future of exit games is to cater for the birthday market, which it might well be, this seems like the state of the art. Puzzlair of Bristol recently posted about their latest discount, supporting Bristol Handball. Follow the Bristol Handball Twitter account and book using the HANDBALL code for 10% off. (Handball is a fine game; much more fun to watch handball on Eurosport 2 than basketball on Eurosport, er, 1.) Puzzlair also have a a Christmas coupon scheme going, where you can exactly personalise the wording on your gift to whatever you think its recipients would most enjoy. No lunar porcine involvement is required. Escape Hunt of London are promoting the Escape Hunt Challenge; book to play all three of its rooms and get a 20% discount. Beat all three rooms and win a limited edition T-shirt as well! There are still some deals announced last time that are ongoing. GR8escape York have a code letting the first 30 teams to book play for just £30, and Escape Quest of Macclesfield’s social media competition is running for just a few more days, finishing well before (and announcing the winner of a free game in good time for) the site’s big launch on November 19th. Locked In Games of Leeds have two unsettling rooms, an even creepier new teaser video and a code of lockedinnovember to be entered at the checkout stage for £30/team games all through November… if you dare! The Gr8 Escape of Belfast have a Groupon voucher that will apply for their two Christmas-themed games, Snow Way Out and Santa’s Work (It Out) Shop. Games will be available from the 1st to the 23rd and from the 26th to 28th. Groups of up to six can play for £42 and groups of up to eight for £49 and fancy dress is encouraged. If you act quickly, you can get a special deal at XIT of Dublin. Their new game, Curse of the Mummy opens very shortly; if you book in October – and there’s not much of it left – to play in November, your group need pay only €59 rather than the usual €79. Talking of new openings, the opening deals at GR8escape York and Locked In Games of Leeds and are still available, each permitting teams to play for just £30. GR8escape York opened on Monday and limits its opening deal to the first 30 teams to book; Locked In Games opens very shortly and the opening deal will last all November. Also in the North, Escape Newcastle is set to open on Saturday 1st November, as previously discussed. This site cannot yet find an opening discount for it, but both Escape Edinburgh and Escape Glasgow had them, so keep an eye out. If the site proves as popular and well-reviewed as its Scottish predecessors, it’ll be something quite special. In other pre-opening news, Escape Quest of Macclesfield have a competition up and running. The site opens on November 19th; if you can help either (or both!) of their social media campaigns out before November 13th then your team might be the one drawn to play a free game! Cyantist of Bournemouth have a couple of deals ongoing, either for those who have ever hosted guests using the Couchsurfing service or for those who buy tickets for their friends. The site also, unusually, features a free ten-minute online game to give you a feeling for what sort of things might await you. Clever idea! 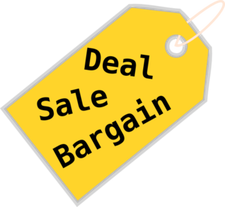 This site does not attract any commission, whether you click through and purchase the deals or not. Puzzlair of Bristol have a LivingSocial voucher operational right now. Choose between a £30 voucher for three, a £36 voucher for four and a £40 voucher for five. A cancellation/re-scheduling policy of 72 hours applies and the voucher is subject to forfeiture. Any vouchers must be enjoyed by Sunday 18th January, 2015. Bath Escape of Bath have an eBay deal operational right now. This is selling ten vouchers to play its Haunted House escape room for £50 instead of the usual £78. However, these vouchers are only valid between 11am and 9pm on Tuesday to Friday; weekend games are excluded and the site closes on Mondays. You must arrive 15 minutes before the booked game time, and Bath Escape’s usual bonus birthday cake if someone is celebrating on the day does not apply. The Great Escape Game of Sheffield is a site not previously mentioned and has not yet opened; bookings are not yet available, but the site may open in the middle of the month. Promotional ticket prices are 5 players for £70, 4 players for £60 and 3 players for £48, but sign up on their site for 10% off your first booking. Bear in mind that games are run to a 45 minute time limit rather than the frequent hour deadline. Can You Escape? of Edinburgh are also not yet open, but their social media are ramping back up once more. Cleverly, they have tweeted that they will be “giving away #freetickets for our VIP week to the first person who guesses our location”. If you like an exit game, you’ll likely like a treasure hunt as well, so this promotion may well hit the spot, and further clues are eagerly awaited. The Gr8 Escape of Belfast also have a competition on social media. Much as they are running a Hallowe’en-themed room this month, they will be running a Christmas-themed room in December, and they have made a Facebook post calling for suggestions for a name for it. The suggestion with most “Like”s by the end of the month wins. Surely a cunning way to attract attention! Lock and LOL of London posted to this site’s Facebook page (!! – but it’s a good way of doing it, and certainly welcome) that if you use the code “SHERLOCKED” you can book their Moriarty’s Laboratory game for £49.75 instead of £199 for a group of up to 5 people. It’s not clear how long this discount code will be valid for, but it’s worth a try.